$ 2,395 - Pursuit circular daybed in Espresso with cushions in Turquoise all-weather fabric. More colors available. 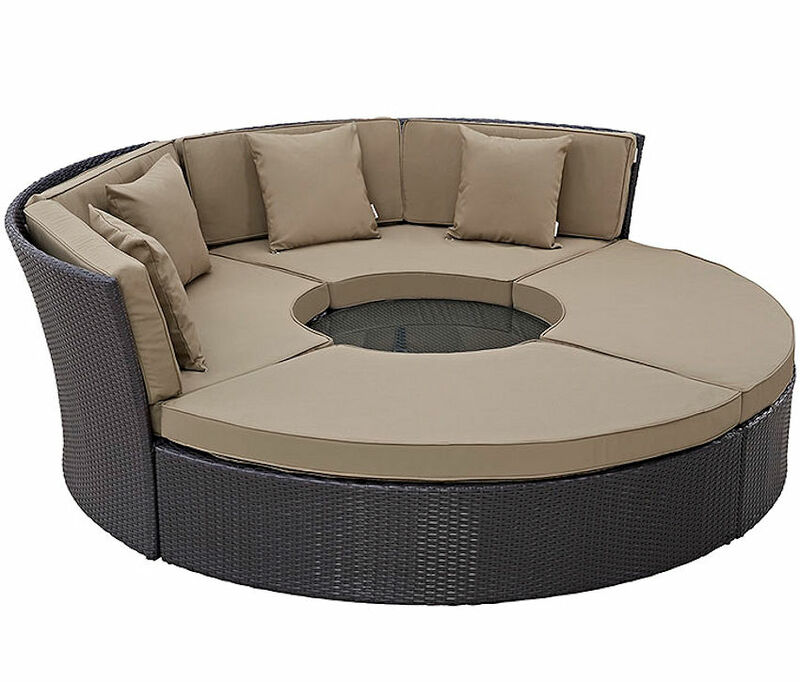 $ 2,395 - Pursuit circular daybed in Espresso with cushions in White all-weather fabric. More colors available. $ 2,395 - Pursuit circular daybed in Espresso with cushions in Mocha all-weather fabric. More colors available. The Pursuit offers a modular day bed with plenty of room. 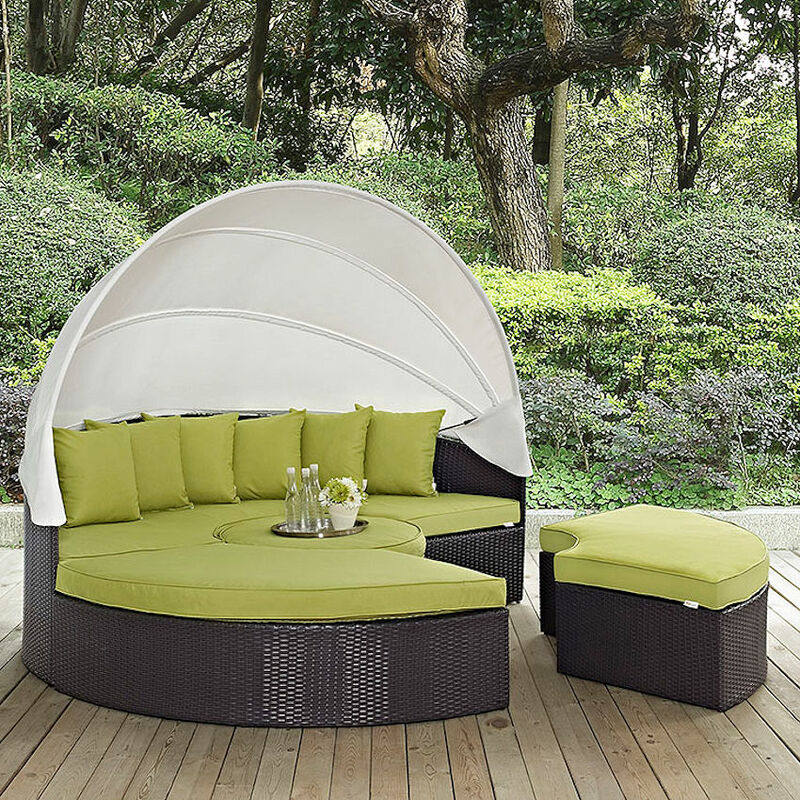 $ 2,250 - Quest canopy circular daybed in Espresso with cushions in Peridot all-weather fabric. More colors available. 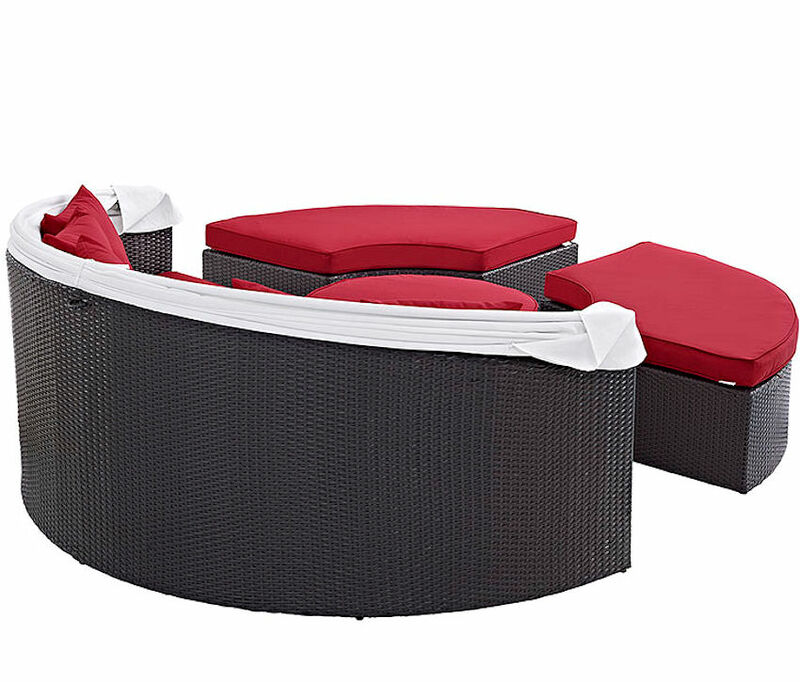 Dimensions: Overall daybed - 86.5" x 86.5" x 31.5"H | seat height - 13"
$ 2,250 - Quest canopy circular daybed in Espresso with cushions in Red all-weather fabric. More colors available. It is more than just a day bed.